With effect from 6-1-2006, an appeal against any order of Income Tax Appellate Tribunal shall lie to the National Tax Tribunal (NTT) if the case involves substantial question of law. The National Tax Tribunal has been set-up to adjudicate the matters relating to both direct and indirect taxes. Note. The section quoted in discussion below are of the National Tax Tribunal Act, 2005. The National Tax Tribunal has been set up on 06-01-2006 under the National Tax Tribunal Act 2005. The Act came into force w.e.f. 28-12-2005 and is applicable to the wholç of India. It is important to note that prior to the constitution of National Tax Tribunal, any order of Income Tax Appellate Tribunal (ITAT) involving substantial question of law, was appealable to High Court. Thus, any order passed by Appellate Tribunal on or after 1-06-2006 shall have to be taken to National Tax Tribunal instead of High Court. The National Tax Tribunal shall consist of a chairperson and such number of members as the Central• Government may deem fit. The jurisdiction of the National Tax Tribunal is exercised by the benches thereof as constituted by the chairperson. These benches of the NIT ordinarily sit in the National Capital Territory of Delhi or at such other places as the Central Government may notify in consultation with the chairperson. (i) Chairperson. Any person who has been a judge of the Supreme Court or the Chief Justice of a High Court. (ii) is or has been, a member of the Income Tax Appellate Tribunal or of the Custom, Excise and Service Tax Appellate Tribunal for at least 5 years. (iii) The Secretary in the Ministry of Finance (Department of Revenue). The Chairperson and every other member shall hold office as such for a period of 5 years from the date on which he enters upon his office and shall be eligible for re-appointment. However, the maximum age limit for Chairperson is 68 years and for members is 65 years. They may resign their office by giving notice in writing under their hands. Such resignation shall be addressed to the Central Government. (e) has so abused his position as to render his continuance in office prejudicial to the public interest. [Section 11(1)]. (ii) The Chairperson or any other Member shall not be removed from his office except by an order made by the Central Government on the ground of proved misbehavior or incapacity after an inquiry made by a Judge of the Supreme Court in which such Chairperson or Member had been informed of the charges against him and given a reasonable opportunity of being heard in respect of those charges. [Section 11(2)1. (iii) The Central Government may suspend from office the Chairperson or any other Member in respect of whom © reference of conducting an inquiry has been made to the Judge of the Supreme Court under sub-section (2) until the Central Government has passed orders on receipt of the report of the Judge of the Supreme Court on such reference. [Section 11(3)]. (iv) The Central Government may be rules, regulate the procedure for the investigation of misbehavior or incapacity of the Chairperson or a Member referred on in sub-section (2). [Section 11(4)]. (i) The Central Government shall provide the National Tax Tribunal with such officers and employees as it may deem fit. [Section 12(1)]. (ii) The salaries and allowances and other conditions of service of officers and employees of the National Tax Tribunal shall be such as may be prescribed. [Section 12(2)]. (iv) The officers and the other employees shall be appointed on the recommendations of a Selection Committee constituted by the Central Government. [Section 12(4)]. (i) A party to an appeal other than Government may either appear in person or uthorize one or more chartered accountants or legal practitioners to present his or its case before the National Tax Tribunal. [Section 13(1)]. (ii) The Government may uthorize one or more legal practitioners or any of its officers to present its case before the National Tax Tribunal. [Section 13(2)]. (b) “legal practitioner” means an advocate—a vakil or any attorney of any High Court, and includes a pleader in practice. (i) In the event of any vacancy in the office of the Chairperson by reason of his death, resignation or otherwise, the Central Government may designate the senior most member to act as the Chairperson until the day on which a Chairperson, appointed in accordance with the provisions of this Ad to fill such vacancy, enters upon his office. [Section 14(IU. (ii) When the Chairperson is unable to discharge his functions owing to absence, illness or any other cause, the Central Government may authorize the senior most Member to discharge the functions of the Chairperson until the date on which the- Chairperson resumes his duties. [Section 14(2)]. The Chief Commissioner or the Commissioner of Income Tax ‘OR; an assessee. The appeal can be filed within 120 days from the date on which the order appealed against is received by the assessee or the aggrieved person or the Chief Commissioner or Commissioner, as the case may be. However, NTT may entertain a belated appeal within 60 days after the expiry of the said period of 120 days, if it is satisfied that the appellant was prevented by sufficient cause from preferring an appeal in time. The appeal shall be in the form of a memorandum of appeal precisely stating therein the substantial question of law involved and shall be accompanied by such fees as may be prescribed. After admitting an appeal, National Tax Tribunal shall formulate the question of law. 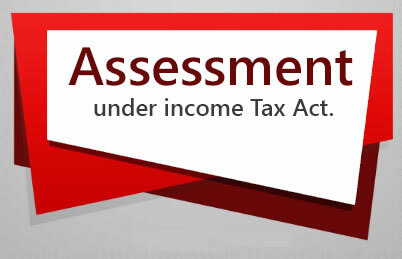 It may also determine, any relevant issue in connection with the question so formulated, which has not been so determined by the Income Tax Appellate Tribunal or which has been wrongly determined by the Income Tax Appellate Tribunal. 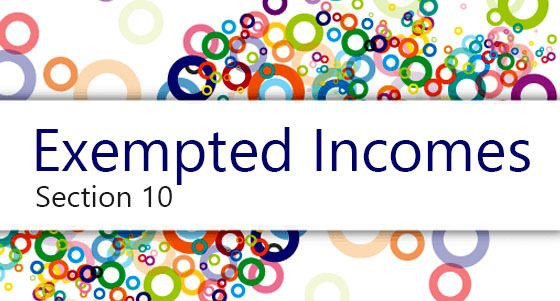 Where the decision of Income Tax Appellate Tribunal requires the payment of any tax etc. the assessee or aggrieved person shall not be allowed to prefer such appeal unless he deposits at least 25% of such tax. However, if NTT is of the opinion that deposit of tax would cause undue hardship to such person, it may dispense with such deposit subject to such conditions as it may deem fit to safeguard the interest of the revenue. (i) The National Tax Tribunal shall not be bound by the procedure laid down by the Code of Civil Procedure, 1908 but shall he guided by the principles of natural justice. It shall have powers to regulate its own procedure. [Section 16(1) and (2)1. (f) any other matter which may be prescribed. [Section 16(3)]. (iii) All proceedings before the National Tax Tribunal shall be deemed to be judicial proceedings within the meaning of sections 193 and 228 and for the purposes of section 196 of the Indian Penal Code and the National Tax Tribunal shall be deemed to he a civil court for the purposes of section 195 and Chapter XXVI of the Code of Criminal Procedure, 1973. [Section 16(4)]. Any order passed by the National Tax Tribunal shall be final and shall be given effect to accordingly. No civil court shall have or be entitled to exercise any jurisdiction, power or authority with respect to any of the matters falling within the jurisdiction of the National Tax Tribunal. If the Members of a Bench consisting of two members differ in opinion on any point, they shall state the point or points on which they differ, and make a reference to the Chairperson, who shall hear the point or points himself or nominate any other member for such hearing and such point or points shall be decided according to the opinion of the majority, who have heard the case including those who first heard it. Where a judgment pronounced on a question of law by a Bench subsequently comes up for hearing before any Bench, and the latter Bench is of the opinion that the question of law requires reconsideration, then the latter Bench shall make a reference to the Chairperson to constitute a Special Bench consisting of five Members to hear and decide such question of law. (b) any reference to the Advocate General in Section 15 of the said Act shall be construed as a reference to such law officer as the Central Government may specify in this behalf. The National Tax Tribunal may, after giving the parties to any proceedings before it, an opportunity of being heard, pass such orders thereon as it thinks fit. (i) On and from such date as the Central Government may, by notification, specify, all matters and proceedings including appeals and references under the direct taxes and indirect taxes pending before any High Court immediately before that date shall stand transferred to the National Tax Tribunal. (C) The Chairperson shall constitute a Bench consisting of such number of Members as he deems fits for hearing cases transferred under this section.